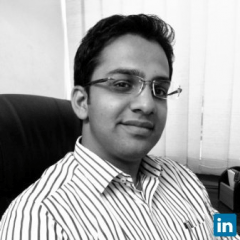 Paras Pandya is a user experience professional who has dabbled in the marketing for over 6 years. He specializes in developing marketing mix approach considering marketing ecosystem. Businesses today seek continuous decision support over their marketing opportunities, considering their investment, public communications & most important reputation. And that’s where Paras works closely with organization on decision making for their marketing communications.